“Gentle” Jen Mathiesen is from Utah. 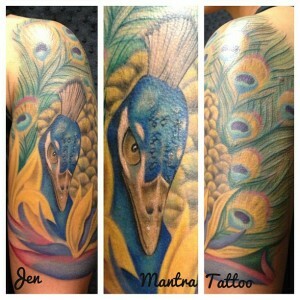 She came to Colorado for a temporary job at a Mantra Tattoo. It was supposed to be a month, but she’s still with us and is one of our experienced artists. She loves art. From tattoos to film to finding inspiration in the outdoors, she’s passionate not only about pursuing art but encouraging others to do so as well. 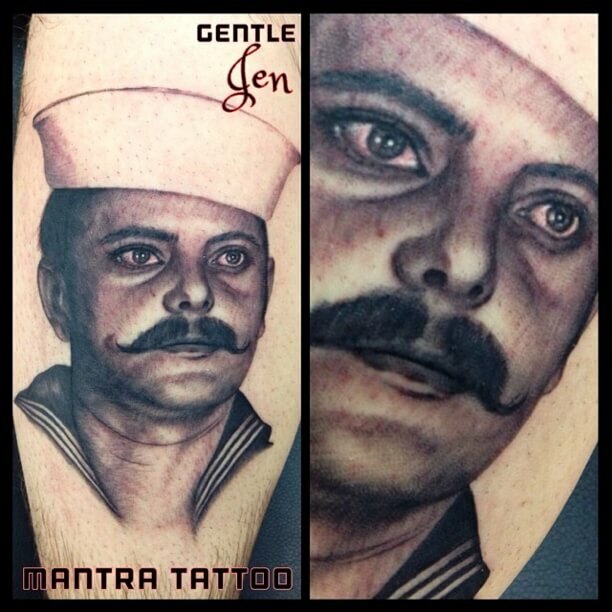 Gentle Jen has been tattooing for sixteen years, but before becoming a professional tattooer, she went through an old-school apprenticeship when she learned how to make needles, and tune her machine. Mathiesen likes to explore inks in various styles. 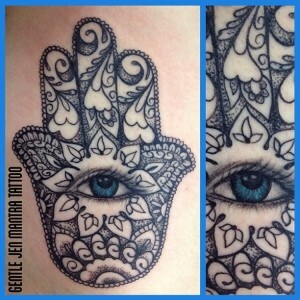 Also, she loves to tattoo fine lines, intricate detail work, and portraiture. Customers are her biggest influence: they have ideas; they have direction, so you’re totally influenced by what that person wants on their body forever, she says. Jen’s artist portfolio is a perfect example of her fine art. Some say Mathiesen has a gentle hand when it comes to tattooing. Visit us to get your custom tattoo design in Denver. We will create the design from the ideas you bring, and work with you until your perfect tattoo is ready to be inked. Or come by to pick out a beautiful piece of body jewelry and get pierced by one of our professional body piercers. We use only medical grade sterilization and new needles always on every tattoo and piercing. Our shop is fully inspected and regulated by the Jefferson County Health Department. Jen works Friday through Tuesday, and you can usually catch her from 1:00 pm to close. Please call the shop, or text cell to schedule an appointment.